A 22-year-old Virginia Beach woman was arrested on Sunday after police say she fraudulently took a lost dog, listing it on Craigslist and getting caught attempting to sell it. 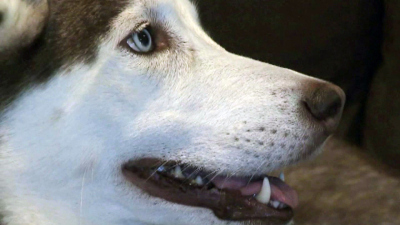 The owner of the 3-year-old Siberian Husky named Nikita says she escaped from their yard near Taylor Road in Chesapeake on Saturday morning around 10:00 a.m. 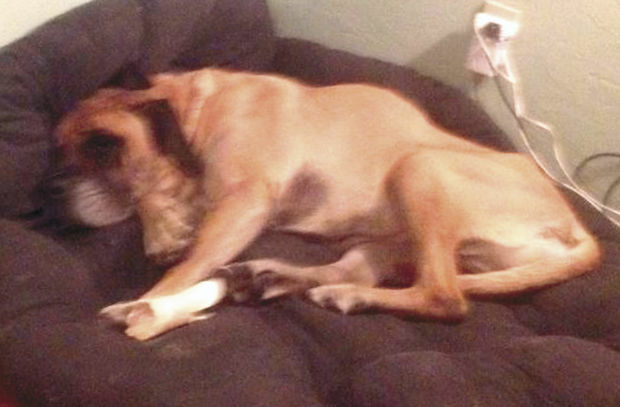 But, just when Nikita’s owner started losing hope, he says he found another lead in the search for his beloved pet. “It blew me away. Until now, I would have never thought anyone would do that,” Josh King said. 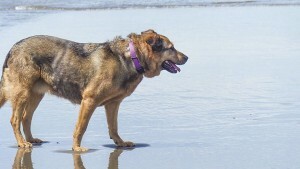 GRACIE, a 9-year-old German shepherd/lab mix, was found Oct. 30 after missing for six days. She was found hiding underneath a house being built that is right across the street from her family’s home. Gracie is now back home. This is how Scott Wistrand’s Oct. 30 post on the Battle Ground, WA, Facebook page began. The post, which went on to describe how, where and when the Wistrand family’s dog, Gracie had been found after missing for almost a full six days. Within the first few hours of the happy post being up on the page, it gained more than 330 “likes” and almost 100 comments. When talking with The Reflector, Wistrand expressed his deep gratitude to the people of Battle Ground who sent his family words of encouragement, shared the photos and story of Gracie, and provided advice. “It truly restores a person’s faith in people when they show they care so much about someone and someone’s pet they don’t even know,” he said. 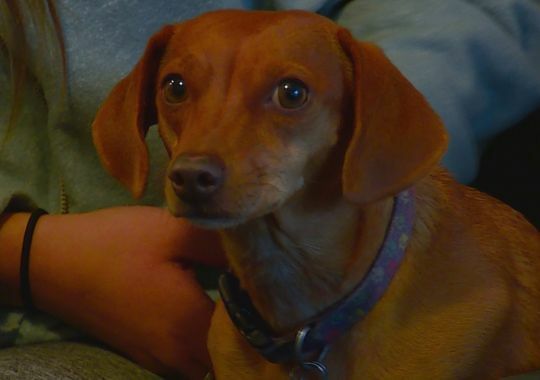 Hailey the dachshund/chihuahua mix survived in the woods for more than two weeks. The owners of a small dog that survived alone in the woods for more than two weeks are calling it a miracle. Hailey, a four-year-old dachshund-chihuahua mix, got lost after she escaped from the truck during a stop near Smiths Ferry Sept. 12. Alyssa Talbert says her family searched for the pet, but eventually had to return home without her. At first, the outlook for 17-pound Hailey looked grim. But Talbert and her mother and stepfather Stephanie and Shaun Bevan kept looking, returning to the spot where Hailey disappeared to set out food and call her name. “It was kind of a rollercoaster: You’d go up there thinking you might find her that day, and you’d come back devastated,” Talbert said. 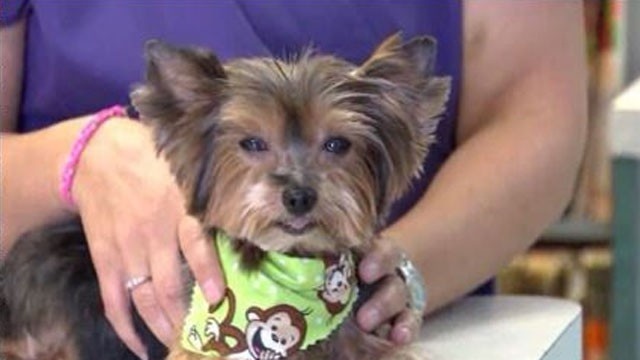 A 10-year-old Yorkie has turned up in Indianapolis six years after he disappeared from his comfortable home in Austin, Texas, reports WTHR in Indianapolis. A kind passerby saw the forlorn Yorkie on an Indianapolis sidewalk earlier this week and took pity on the poor pup. She brought the matted, hungry and flea-bitten pooch to Post Road Vet Clinic, hoping someone would claim him. One of the first things clinicians look for in a found animal is an identification microchip. A toy fox terrier named Nika was reunited with her owner on Friday after Marion County Animal Services says it tracked down her owner in New York by using her microchip. Two-year-old Nika vanished from her owner Giuseppe DiBella’s front yard in Newburgh, New York two years ago. After searching for the dog with law enforcement, online and posting fliers for months, DiBella said he still didn’t lose hope. After 22 days apart, Lori Davis and Patrick Milligan of Scio were reunited Sunday with Madison, their female bull mastiff, thanks to several good Samaritans and volunteers with Linn County Search and Rescue. Linn County Sheriff Bruce Riley said that the events leading to the reunion started at about 7:45 p.m. Saturday, when his office received a report of a possibly lost hiker in the Cascadia area. Deputies arrived on the scene and learned that Brian Floro and his girlfriend Julie Foubert, of Lebanon, and her son Scott Foubert of Albany and his girlfriend Rebecca Heuberger of Lebanon had been hiking along the South Santiam River from Latiwi Creek Road. It’s an area the four are familiar with, and at one point, Floro climbed over an obstruction to get a view of a waterfall — and noticed 10-year-old Madison hunkered down on a rock slab. The weak and hungry dog was in steep terrian with no easy way out, about two miles upstream from the road. The slab was joined on three sides by steep rocks, with water on the remaining side. 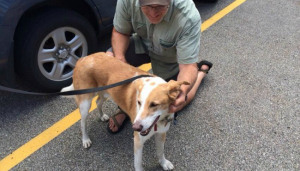 Puckett, a 65-pound Labrador/Border Collie mix was located Wednesday morning and reunited with his family at the Kent County Animal Control facility. Puckett’s owners told 24 Hour News 8 they got a call that Puckett had been found just before 10:30 a.m. He was found by a Kent County employee and brought to the Kent County Animal Shelter, but the owners weren’t given details on exactly where or when that happened. We wanted to contact you and let you know that we found our dog, mocha. She was found via a poster alert and we thank you for your help. We would recommend your website to anyone. Thanks again. Amazing. Thanks to the poster alert, the police was able to contact us.